Websites don't have to be complicated. Wedding photographer Denise Edkins was ready to overhaul her portfolio website. Separately, Denise used a SmugMug account to organize photos and share them with clients. Why not use one platform for all her needs? 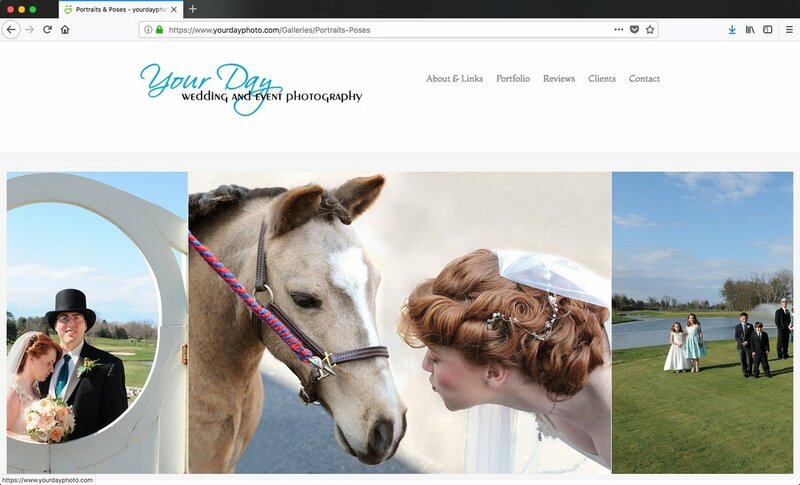 I upgraded the Your Day Photography SmugMug account to include a beautiful and simple-to-update website for new and current clients. We began by analyzing other photography websites. We included the features that we loved from other sites and designed new features special for Denise. I also worked with Denise to edit her portfolio and highlight her most outstanding photos.